The standard room with terrace enjoys a panoramic view to the medieval village of St Paul de Vence. The roomsize is 18m², with a double bed of 140 cm x 200 cm. 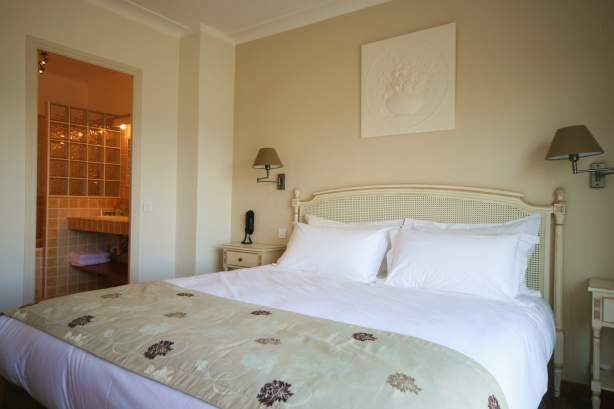 It is equipped with reversible air-conditioning, safe, mini-bar, téléphone, Wi-Fi and TV TNT. The bathroom is equipped with shower, hairdryer, magnifying mirror, welcome products and separate toilet. Number : 2 rooms located on garden level. 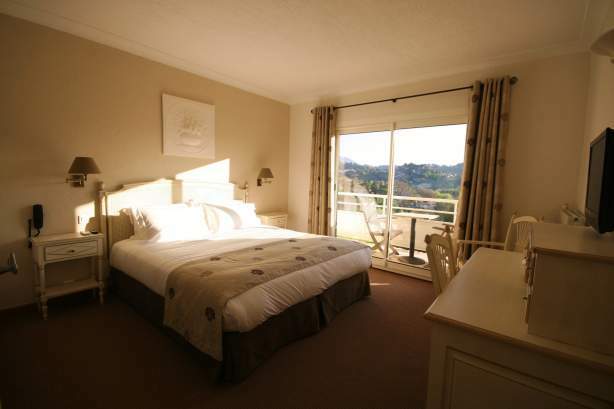 The superior room with balcony enjoys a panoramic view to the medieval village of St Paul de Vence. 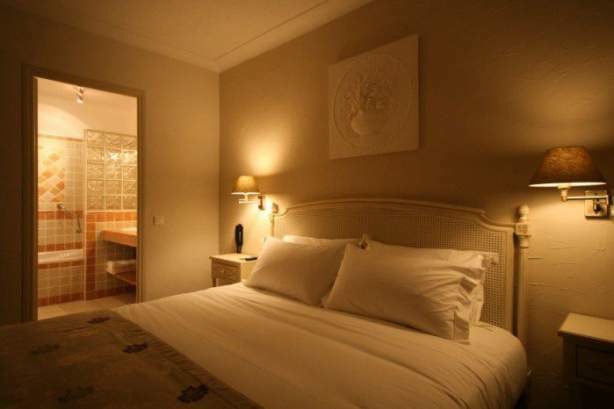 The roomsize is 24 m², with a King size bed of 180 cm x 200 cm. It is equipped with reversible air-conditioning, electric blinds, safe, mini-bar, tea-coffee kettle, telephone, Wi-Fi and SAT TV. The bathroom is equipped with tub/shower, hairdryer, magnifying mirror, welcome products and separate toilet. Number : 4 rooms located on entry level and 4 rooms located upstairs. 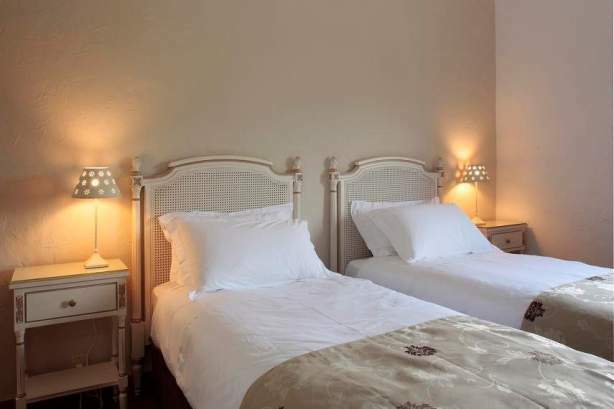 - The superior room with balcony enjoys a panoramic view to the medieval village of St Paul de Vence. The roomsize is 24 m², with a King size bed of 180 cm x 200 cm. It is equipped with reversible air-conditioning, electric blinds, safe, mini-bar, tea-coffee kettle, telephone, Wi-Fi and SAT TV. 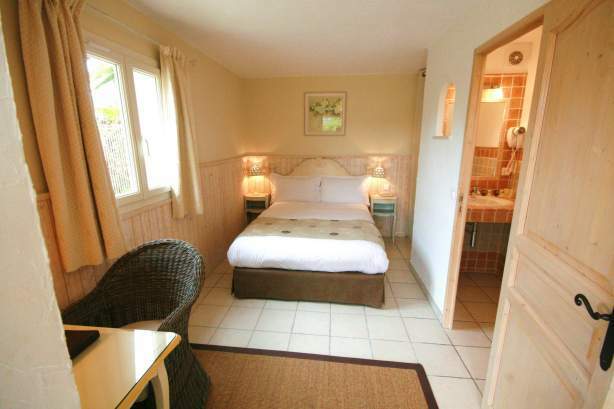 The bathroom is equipped with tub/shower, hairdryer, magnifying mirror, welcome products and separate toilet. 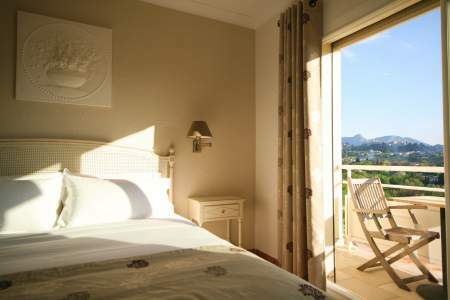 - The second room is equipped with twin beds of 90 cm x 190 cm, bathroom with shower, reversible air-conditioning and TV TNT. 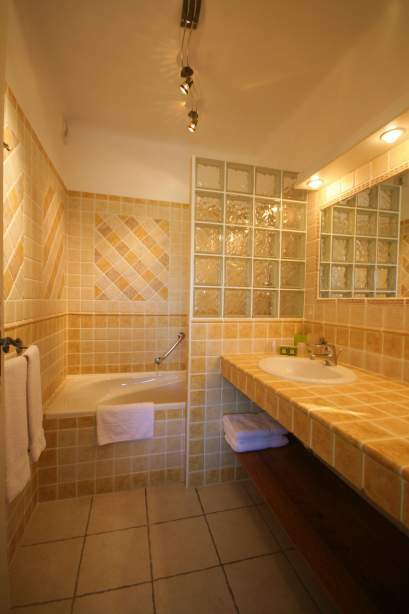 - The toilet is between the two rooms in the private corridor. Number : 1 room upstairs.